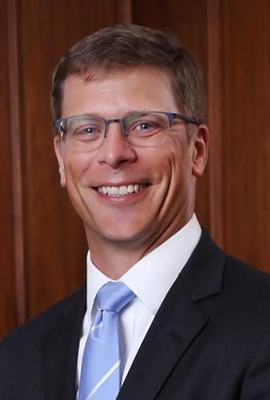 Logan E. Sawyer III joined the University of Georgia School of Law in 2010 and was promoted to associate professor in 2014. He spent the academic year 2014-15 as a visiting professor at Harvard Law School. He has also been a Law Research Fellow at the Georgetown University Law Center and taught courses on American legal history at the University of Virginia. His academic interests focus on the relationship between law and political institutions in American history. He is currently at work on a history of originalism and party politics from the 1950s to the 1990s. His recent scholarship includes: "Principle and Politics in the New History of Originalism" in 57 American Journal of Legal History 198 (2017), "Conservative Lawyers, the Other Rights Revolution, and the Remaking of American Conservatism" in 40 Harvard Journal of Law and Public Policy 729 (2016), “Constitutional Principle, Partisan Calculation, and the Beveridge Child Labor Bill” in 31 Law and History Review 325 (2013) and “National League of Cities and the Return of Constitutional Federalism” in 91 University of Denver Law Review 221 (2014). Before he began teaching, Sawyer served at the White House as associate counsel for the Homeland Security Council and as a trial attorney at the Department of Justice Office of Consumer Litigation. He entered government service as part of DOJ’s Honors Program. He was a judicial clerk for Judge Jane R. Roth of the U.S. Court of Appeals for the 3rd Circuit and for Justice Robert F. Orr of the North Carolina Supreme Court. He serves on the membership committee of the American Society for Legal History and the executive committee of the Law and History Collaborative Research Network at the Law and Society Association. Sawyer joined the inaugural class of UGA's Teaching Academy Fellows for the 2011-12 academic year. Sawyer earned his B.S.P.H. in environmental science and his B.A. in history from the University of North Carolina, where he graduated Phi Beta Kappa. He earned his J.D. and Ph.D. in American history from the University of Virginia. Principle and Politics In the New History of Originalism, 57 Am. J. Legal Hist. 198 (2017). The Return of Constitutional Federalism, 91 U. Den. L. R. 221 (2014). Legal History in Context, 53 Am. J. Legal Hist. 397 (2013). Constitutional Principle, Partisan Calculation and the Beveridge Child Labor Bill, 31 Law & Hist. Rev. 325 (2013). Creating Hammer v. Dagengart, 21 Wm. & Mary Bill Rts. J. 67 (2012). Grazing, Grimaud, and Gifford Pinchot: How the Forest Service Overcame the Classical Nondelegation Doctrine to Establish Administrative Crimes, 24 J.L. & Pol. 169 (2008). Jurisdiction, Jurisprudence and Legal Change: Sociological Jurisprudence and the Road to International Shoe, 10 Geo. Mason L. Rev. 59 (2001). "Revising Constitutional History" in A Companion to the Gilded Age and Progressive Era (C. Nichols and N. Unger eds.) (Wiley, 2017). Why the Right Embraced Rights, 40 Harv. J. L. & Pub. Pol'y 729 (2016) (reviewing Jefferson Decker, The Other Rights Revolution: Conservative Lawyers and the Remaking of American Government (2016)). Book Review, Fifty Years of Justice: A History of the U.S. District Court for the Middle District of Florida by James M. Denham, 82 J. S. Hist. ​4 (2016). Book Review, Against the Profit Motive: The Salary Revolution in American Government, 1780-1940, by Nicholas R. Parrillo, 74 J. Econ. Hist. 630 (2014).